This antenna at Goldstone, California has become a symbol of space communication. 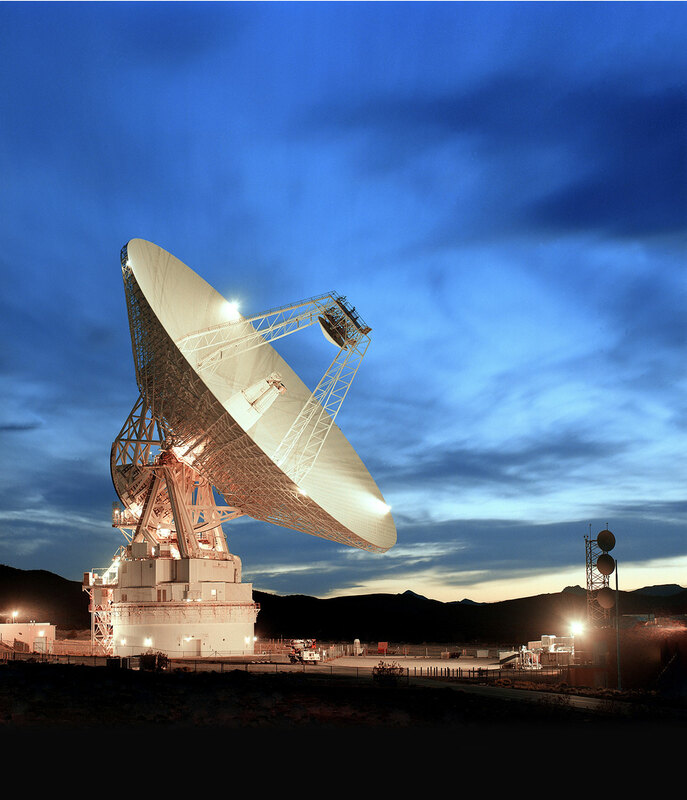 The largest antenna at the site—its dish is 70 meters wide—has been in continuous use since 1966, when it tracked Mariner 4 on its mission to fly past Mars. This antenna at Goldstone, California, has become a symbol of space communication.